FORD has officially agreed to increased technical and financial support for British team M-Sport’s defence of its FIA World Rally Championship manufacturers’ title in 2018. PHOTO: The new-look 2018 Ford Fiesta WRC from M-Sport Ford World Rally Team. The re-named M-Sport Ford World Rally Team led by Malcolm Wilson will receive technical support from the global Ford Performance organisation at Ford’s headquarters in Dearborn, Michigan. Ford Performance global director of motorsport Mark Rushbrook announced the deal on Thursday during the official WRC season launch at the Autosport International show in Birmingham. The car maker’s increased stake was revealed unofficially just before Christmas when it registered as a WRC manufacturer with the Federation Internationale de l’Automobile alongside Toyota, Citroen and Hyundai. Ford withdrew as a WRC manufacturer entrant after the 2012 season, but has continued to supply technical support to the British team. Sébastien Ogier won his fifth drivers’ title after moving to M-Sport in 2017, but had made clear greater involvement from Ford was key to him re-signing for this season. 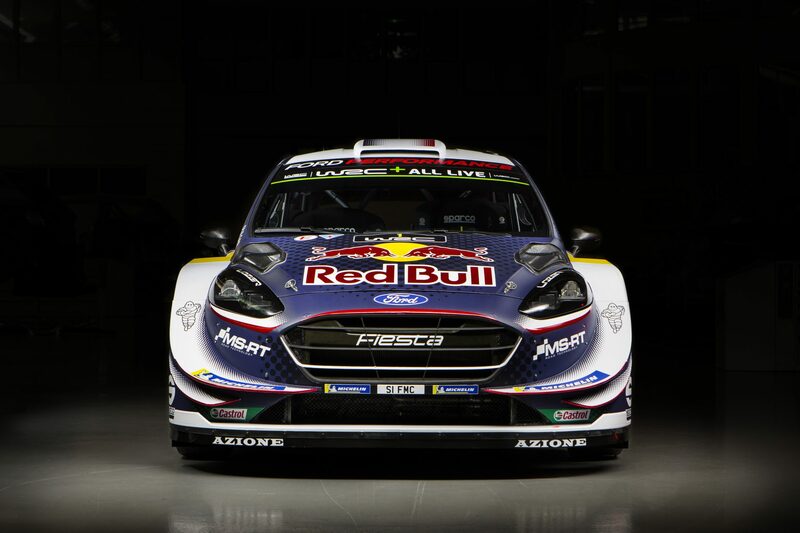 Ogier and upcoming talent Elfyn Evans will lead the team, alongside their respective co-drivers Julien Ingrassia and Daniel Barritt, in the Ford Fiesta WRC. “Ford’s 20-year relationship with M-Sport has delivered unparalleled success at all levels of rallying, something we’re very proud of, and has also established Fiesta as the standard for rally competitors around the globe,” Rushbrook said. “We’ve enjoyed a fantastic relationship with Ford over the years and it’s great to see that support increase as we look to defend our FIA World Rally Championship titles in 2018,” Malcolm Wilson said.